Which program board(s) do you oversee and what is an example of their events? 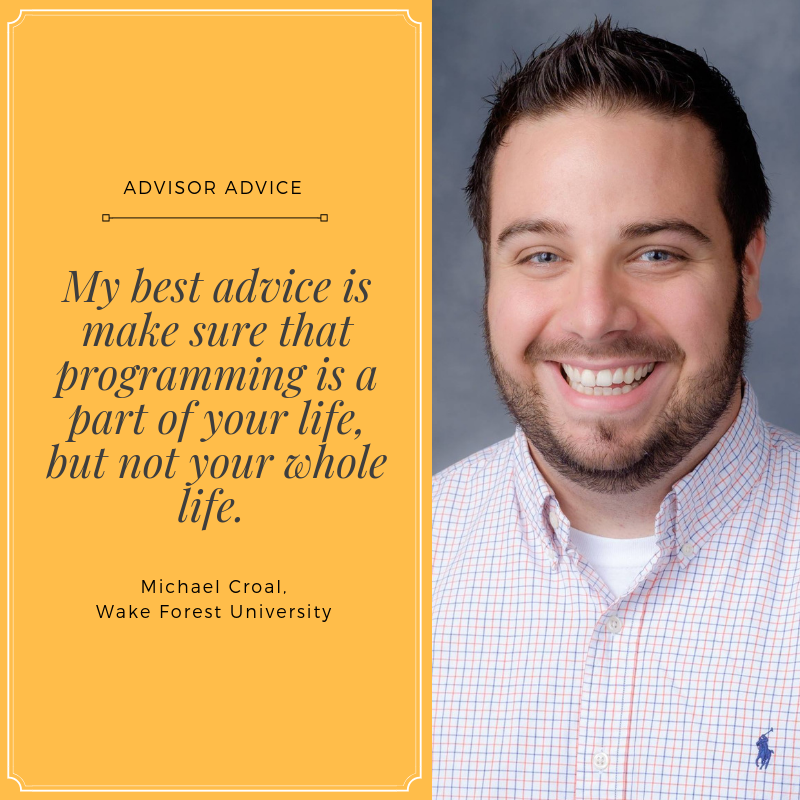 I advise the Wake Forest Student Union, Wake Forest’s programming board. Each year we produce over 100 events including Tuesday Trivia, Friday Films, the Drag Show, Homecoming, Spring Concert, Springfest, aWake All Night, and so much more! What is your favorite part of your job? My favorite part of the job is getting to go on retreats with my students. It’s great to be able to get off campus, and focus on bonding and teamwork. It sets us up for a successful year and gives us all the energy we need to get through Welcome Week! How do you keep all of your event details organized during Spring? GOOGLE DRIVE! There is magic in spreadsheets with coding that turns green as you finish items and events. Everyone gets access to it and can share in all the excitement of a finished product and successful event. What is your advice for students when it comes balancing school and programming? My best advice is make sue that programming is a part of your life, but not your whole life. Obviously you love what you do, or you wouldn’t do it, but make sure that classes and other organizations are you priority as well! How do you prepare for day of show? I always have a little back pack with me that has contracts, checks, day of show plan, an external battery charger. But to make it a great show, I make sure you students are ready and feel empowered to run a great concert.